Jaguar X-Type Saloon Door Latch. Left Hand Front Door. Near Side UK. Suitable for XK vehicles from 2006 - 2014 and XF vehicles from, 2008 - 2015 with passive keyless entry. "Keyless / passive door entry is when you can unlock the car upon approach with the remote still in your pocket etc. Suitable for XK vehicles from 2006 - 2014 and XF vehicles from, 2008 - 2015 with NON passive keyless entry. "Keyless / passive door entry is when you can unlock the car upon approach with the remote still in your pocket etc. JAGUAR XJ40 BRAND NEW O.E. EARLY FRONT DOOR . Front Door Checkarm. Wing Mirrors. XJ6 XJ8 XJR (X300/X308) models 1994-2002. We are a Jaguar vehicle parts specialist, based in the East Midlands. Jaguar Part Number: GMD1983AB. Body / Panels. Body Closures and Sealing. 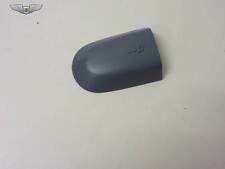 Offered what i believe is from a series 2 coupe is this e type coupe door skin,although this is primed it is new and never fitted however may have very minor storage marks..collection preferred from witham in essex.. Fits all saloon variations. We were established in 1931 by Wally Harwood, father of our current Chairman, Guy Harwood. We have several sites around the South & South East of England, including franchises such as Land Rover, Jaguar, Audi, Bentley and Aston Martin as well as a MAN Truck Centre. This was removed from a 2017 67 plate model and is a bare door panel. On the rear of the door is part number 170815. Donor vehicle : Jaguar XF. Glass, handle, lock, window lifter, mirror and door card are NOT INCLUDED. Year : 2009. Drive side : RHD. We really Appreciate it. We will do our best to resolve any issue. All our used parts are in good condition(unless stated otherwise) and are tested prior to dispatch. ITEM CONDITION. GENUINE JAGUAR X TYPE 4 DR SALOON PASSENGER SIDE FRONT DOOR. 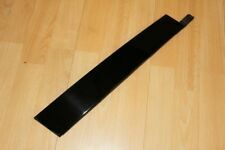 FITS 4 DOOR SALOON MODELS (4 DOORS AND A BOOT LID). FITTED TO JAGUAR X TYPE SALOON MODEL YEARS. COLOUR- QUARTZ GREY. Genuine Jaguar XF front Near side (passenger side)door. This is not an after market product all our products are genuine quality. This was removed from a 2017 67 plate model and is a bare door panel. Donor vehicle : Jaguar XF. Glass, handle, lock, window lifter ,and door card are NOT INCLUDED. Year : 2009. Drive side : RHD. We really Appreciate it. We will do our best to resolve any issue. Was established in 2005. Removed from 2013 Jaguar XF Sport 4 Door Saloon, 2.2 Diesel, Automatic. 2012-2015 Jaguar XF Sport front passenger side door without door card (includes glass and other parts that belongs to door). Vehicle compatibility is a rough guide andit is your responsibility to check if this part will fit your vehicle. Jaguar Part Numbers BD29285 and BD29285. Jaguar Part No -C2Z31326. XF models from 2009-2015. Jaguar Part Number C2Z17725 to fit XF Saloon (X250) 2009 - 2015. 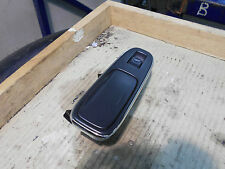 Jaguar XF Left Hand Rear Door Moulding/Trim. New/Unused genuine Jaguar Part. REMOVED FROM 2008 MODEL. to help you with order. PART NUMBER :C2D3693. FRONT LEFT HAND. GENUINE PART. SUPERSEEDED NUMBER : C2D49134. ONE GENUINE JAGUAR XF REAR PASSENGER SIDE DOOR PANEL. PRICED TO CLEAR, BARE DOOR UNIT. JAGUAR PART NUMBER: C2Z2063 (or superceded equivalent). XF 2008-2015 Saloon and Estate. Wing Mirrors. We are a Jaguar vehicle parts specialist, based in the East Midlands. Body / Panels. Body Closures and Sealing. USED CONDITION SEE PICS TO MAKE DECISION. All our used parts are in good condition(unless stated otherwise) and are tested prior to dispatch. ITEM CONDITION. XF 2009 – 2015. Rear Door Seal. Left Hand / Right Hand. All our used parts are in good condition(unless stated otherwise) and are tested prior to dispatch. USED CONDITION SEE PICS TO MAKE DECISION. ITEM CONDITION. REMOVED FROM 2008 MODEL. soton car parts. Jaguar XJ Series 1 and 2 Left Hand Front Door Chromes. Set of 6 pieces. Good condition, need a good clean. Removed from Daimler Sovereign Series 1 1970. These are all genuine OE parts. Jaguar XJ Series 1/2 (XJ6/XJ12). Fits 2009 - 2015 Jaguar XF Saloon. Genuine Jaguar XF Near Side Left Rear Door Skin. JAGUAR PART NUMBER :C2Z3066. FITS JAGUAR XF MODELS 2009 - 2015. JAGUAR XF FRONT DOOR LOER WEATHER STRIP SEAL. ANY FAULTY ITEM WILL NEED TO BE REPORTED TO US AS SOON AS POSSIBLE. NEW GENUINE PART. FITS EITHER SIDE DOOR. 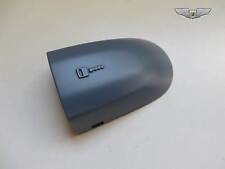 2008-2015 JAGUAR XF LOCK FRONT LEFT SIDE DOOR. PART NUMBER - 8X23-203A29-AE. USED CONDITION SEE PICS TO MAKE DECISION. ITEM CONDITION. Style Saloon. JAGUAR S TYPE L Rear Door. 2004 JAGUAR S TYPE which we are dismantling. Colour Silver. The Part imaged and described is th eactual part you will recieve. S TYPE 2002 -2008 Left. S TYPE 1999 -2002 From Ch M45255 Left. 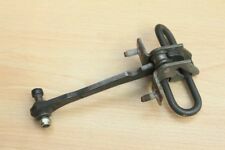 JAGUAR PART NUMBER - C2C30690. 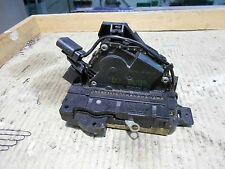 GENUINE JAGUAR XJ DOOR LATCH. LEFT HAND DRIVE, POWER DOOR DEADLOCKS. Jaguar XJ6 Doors. Jaguar XJ12 Doors. Jaguar XJ Series 3 Doors. Three Jaguar Series 3 XJ6/XJ12 Doors. Isle of Wight. Removed from 2003 Jaguar X-Type 2.5 petrol V6 Se automatic. Isle of Man. Tested and in working order. Is in its original condition - full inspection will be done. JAGUAR XF '07-15 X250 FRONT BARE DOOR WITH GLASS LEFT PASSENGER SIDE 8X23F20221 IN MAROON. REMOVED FROM 2010 JAGUAR XF 3.0 DIESEL TDV6. IN GOOD USED CONDITION. ANY BIG ISSUES WILL BE CAPTURED AND SHOWN IN PICTURES. Complete with opening quarter windows and catches. Specialist in second hand spares and performance parts for Jaguars.